Unexpected guests are popping in on their way home from shopping! Oh no! But they’re bringing your favorite chocolate cake from the bakery. Yay! The kitchen is a disaster! Crap! Use any combination of these tactics to tidy up fast. The text says your guests are popping in to say hello but you have a sink full of dishes with baked on casserole on the plates and baking dish. 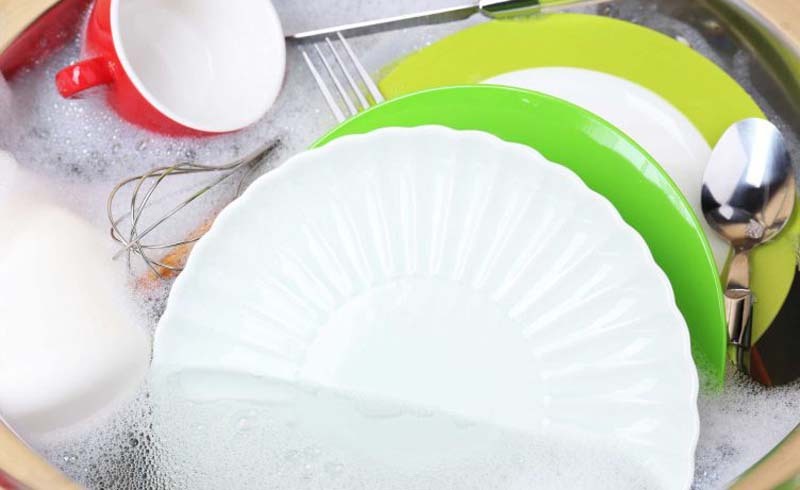 “Scrubbing food off dishes is time consuming, but if you let your dishes soak and the food will fall off,” says Jaime Kulaga, owner of Two Maids and a Mop. 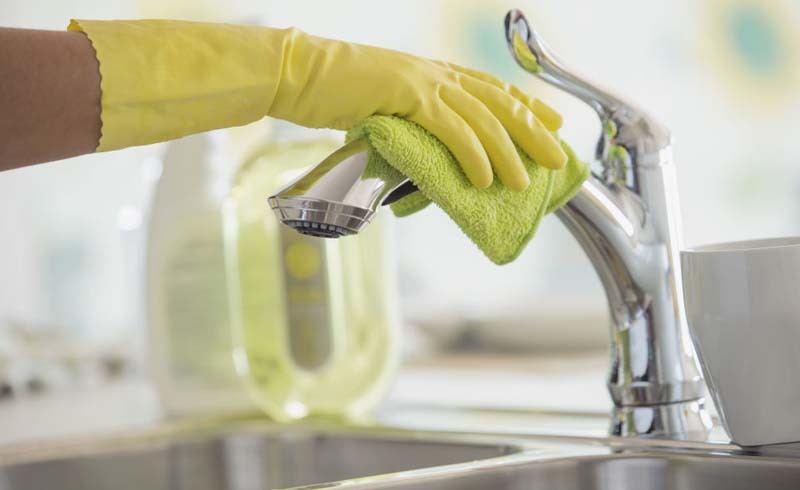 Before you start cleaning the rest of kitchen, fill the sink with hot water and a squirt of dish soap and let the dishes soak. By the time you are sprucing up the rest of the kitchen, the baked on food will lose its grip and you can quickly wash the dishes. Smell something funky near your kitchen sink but don’t see any usual culprits? “The garbage disposal is one of the stinkiest features in the kitchen,” says Lauren Haynes, a home cleaning expert at Star Domestic Cleaners. Haynes suggests dropping lemon peels in and running the disposal with the water to nix the bad odor. No lemon peels? Run hot water down the garbage disposal drain, then add one fourth cup of baking soda. Shut off the disposal and water and let it sit for a few minutes. Add a cup of vinegar and rinse it through. A shiny stainless steel kitchen sink is a glowing compliment to your kitchen. 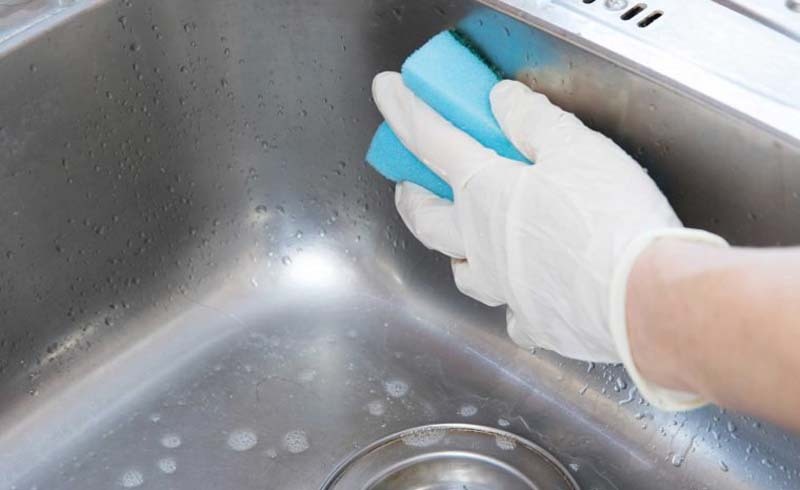 To quickly clean the sink without scratching it, use a damp sponge and baking soda. 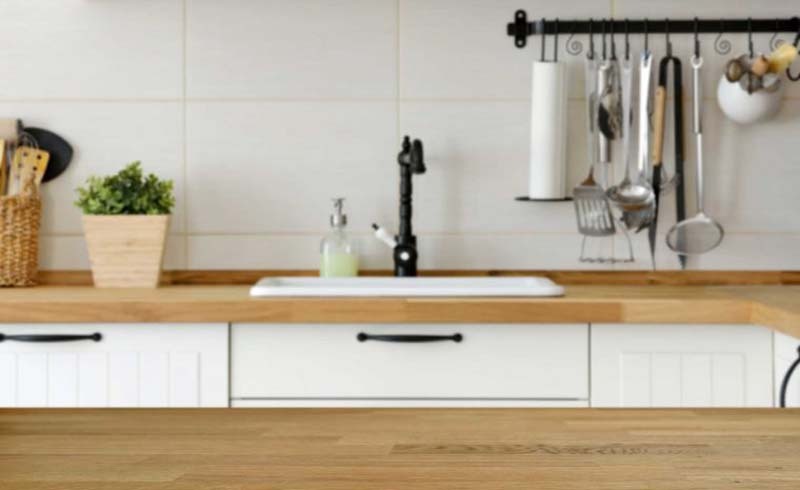 “The baking soda will remove stains without scratching the surface,” says Kathleen McEvoy, owner of Zen Green Services in Baltimore. “Once you’ve cleaned the stains, use a spray bottle filled with vinegar to rinse the sink,” explains McEvoy. The vinegar acts as a disinfectant. Rinse with water and your sink will shine like new. 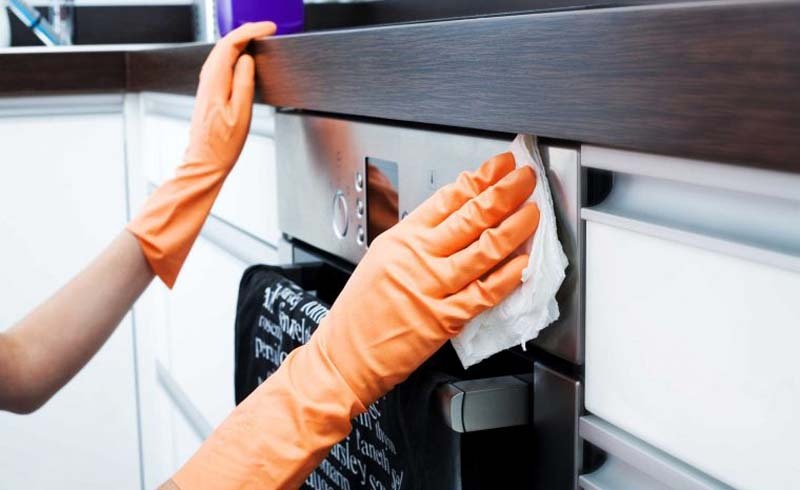 Walking into a clean kitchen is a pleasant sight for the eyes but if your kitchen reeks of last night’s dinner, it won’t matter if you can see your reflection in the gleaming stainless steel fridge. Artificial air fresheners and garbage smells don’t mix. 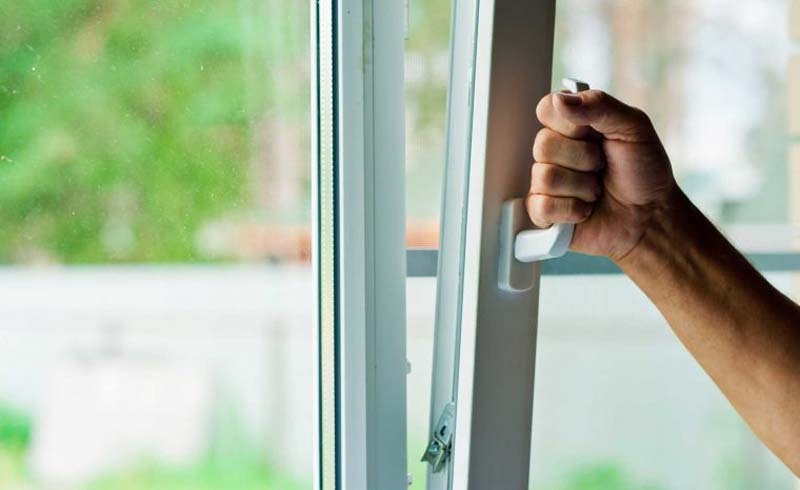 “Before the guests come over, take out the trash and open your kitchen window about 15 minutes prior to guests arriving,” suggests Debra Johnson, Merry Maids cleaning expert. If you want to amp up the fragrance factor, Johnson suggests adding cinnamon sticks and vanilla to a pot of boiling water. If you’re like most people, you want your guests to feel at home when they pop in. Informal get togethers often mean guests pour their own coffee or put the kettle on for tea. 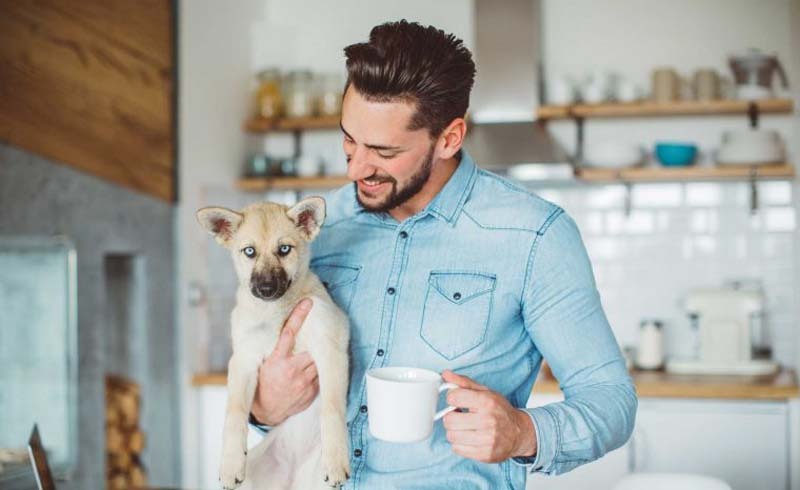 Grimy tea kettles and dirty coffee makers could make even your best friends wish they had stopped at Starbucks first. 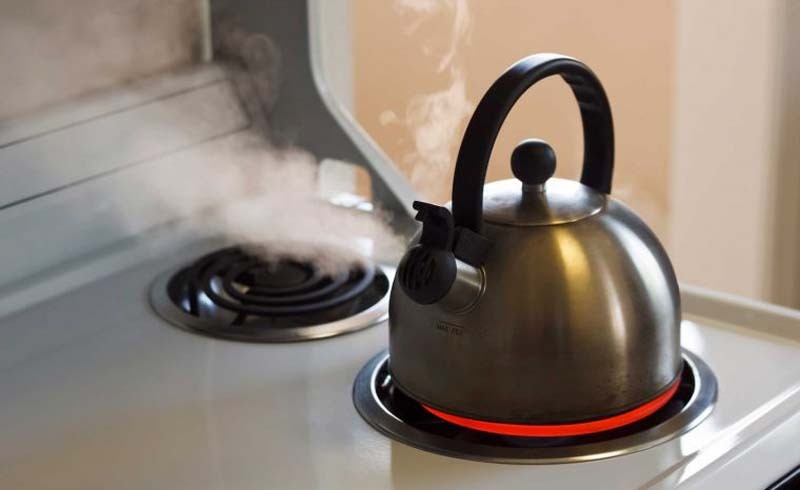 Wipe down the outside of the tea kettle with warm, soapy water and rinse. Fill the kettle with water so all you have to do is turn on the heat. Clean a coffee stained glass carafe with warm sudsy water and wipe out the filter compartment. The countertop and kitchen table often serve as a dumping ground for everything. 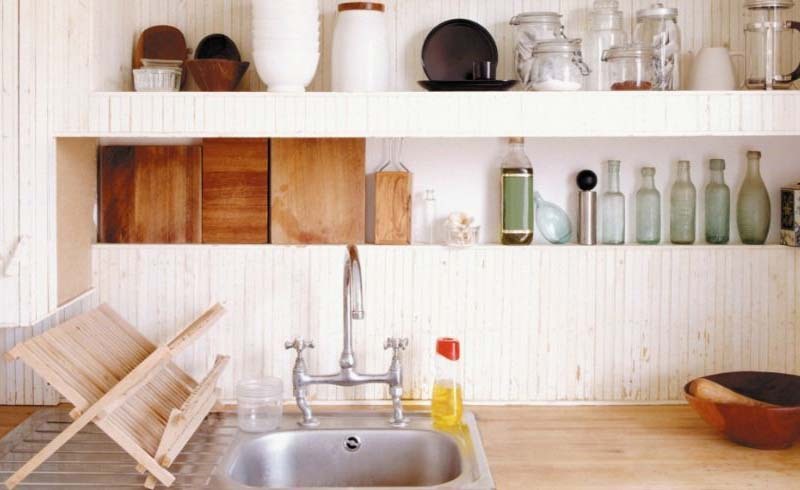 Mail, socks, ponytail holders, keys, cat toys, and more can make an otherwise clean kitchen look cluttered. It’s not very inviting when a guest has to shovel junk to the side to sit down. Guests feel relaxed when your space appears organized. “Instead of taking each item back to its proper place one by one, rally up all the items that don’t belong and put them into one pile,” says Kulaga. Stash them in a tote or box and stick them in the closet. Later, the items can be taken care of properly. A food splattered microwave looks and smells bad. When your guests wants to warm his apple pie and opens the microwave door, he may opt to eat it cold if he sees this mess. 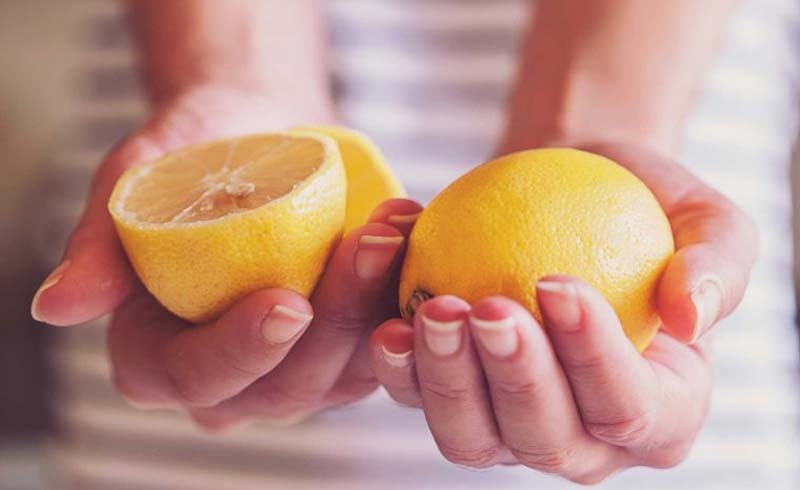 To clean it fast, fill a microwave safe bowl with water and a slice or two of fresh oranges and a piece of clove or cinnamon powder and vanilla or lemon slices and rosemary, suggests Novak. Microwave in one-minute increments until the caked-on food is soft. 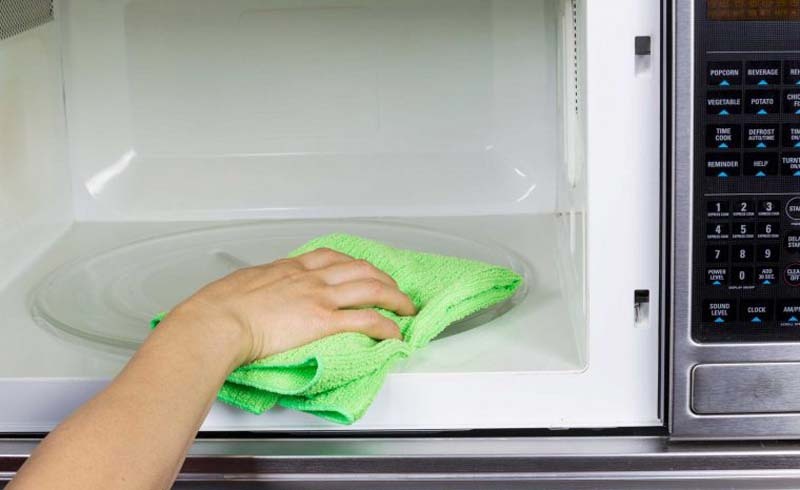 Wipe it clean and you have a clean microwave and a fresh smelling kitchen. You can’t expect your guests to take off their shoes if your floor is dirty. You may be able to get by if you have crumbs on a wood floor, but a light surface won’t be so forgiving. 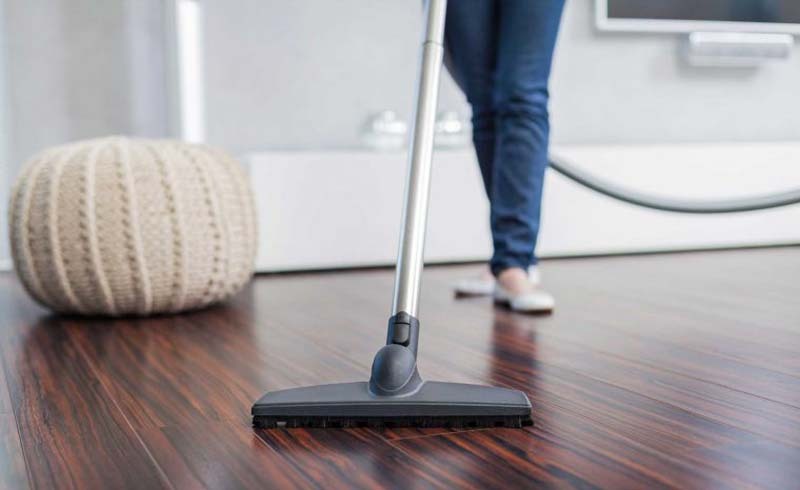 Give it a quick sweep with the broom or vacuum, then spot clean any food spills quickly with a damp micro cloth or paper towel.